Yesterday I shared with you some leaves and a stem stitch. 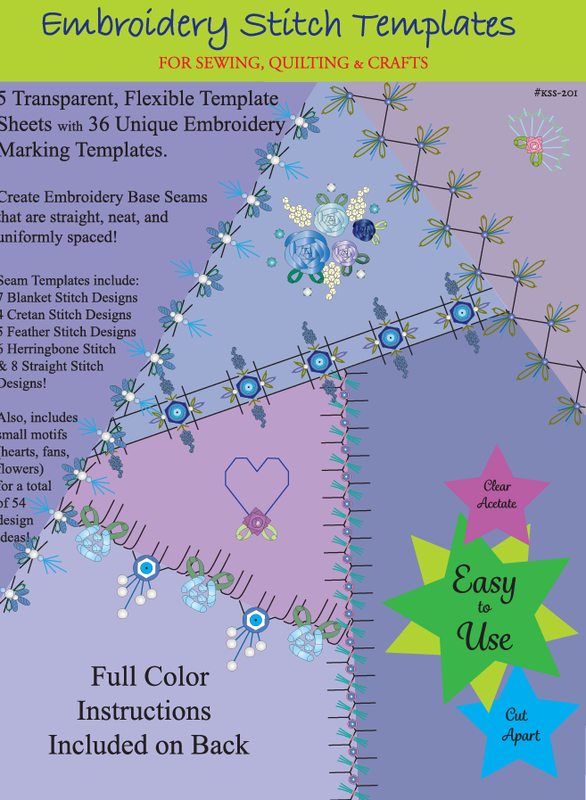 Today, I'm going to add some flowers to the design. 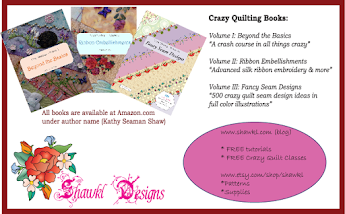 I want to stay true to traditional Brazilian Embroidery and so pulled out my reference book Brazilian Embroidery 101 by Cheryl "Sunshine" Schuler. 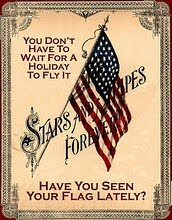 It is just full of diagrams and instructions so hopefully it will help me! 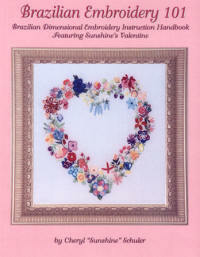 The book is available at various sites, including the primary site for Brazilian Embroidery supplies (IMHO) at JDR-BE. 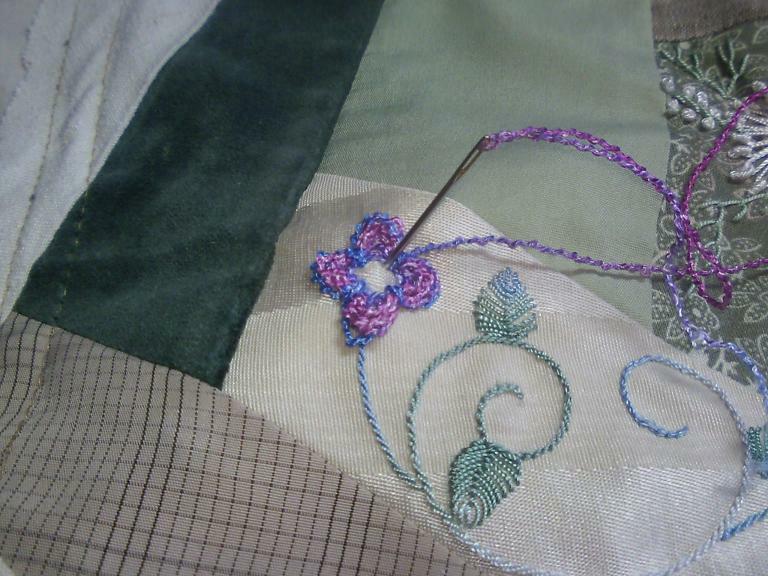 The main reason I want to try this flower is because it uses Boucle thread...which is really "bumpy" and not suitable for most embroidery work. 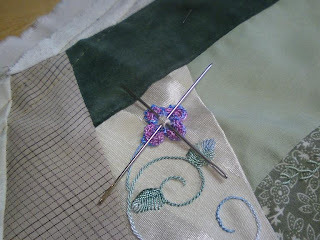 To start off the instructions required that I put two long needles into the background fabric to form a "cross". 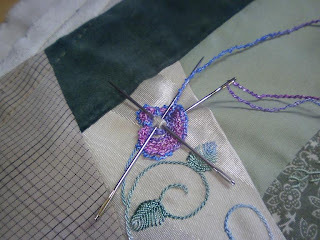 Next, the thread is brought up between two of the needles...and close to the center. then slide your needle back under the wraps and needle down at the same (or very close) position. This "tacks" the wraps together. 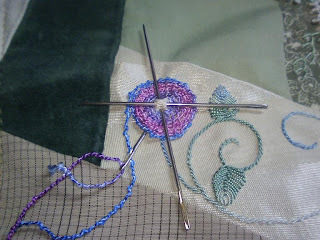 Repeat this between the needles in all four open positions of the cross. This will create four petals. 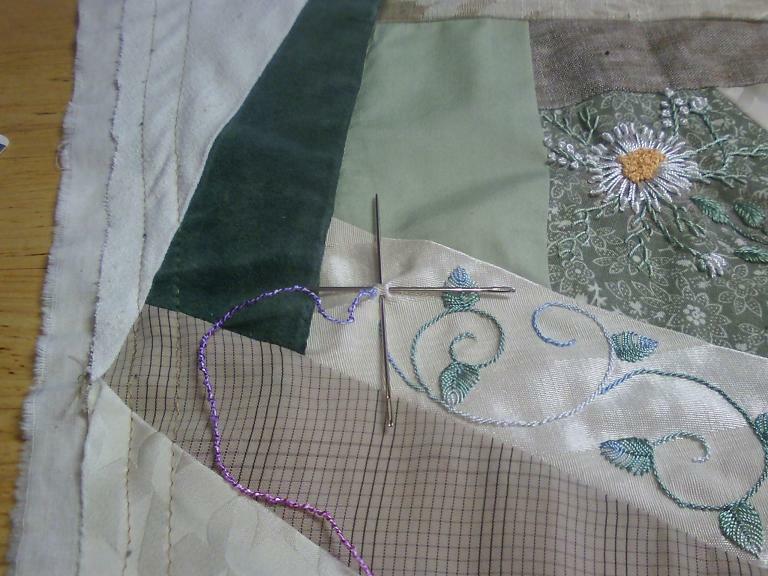 Remove the needles from the background fabric. 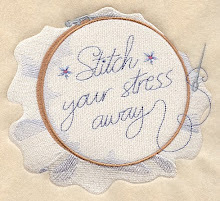 Stitch each "tack" one more time and tie off your thread in the back of your work. "Fluff up" the petals and you have a finished hydrangea bud! Pearls, sequins, crystals, or french knots could be added to the center of the flower to change it up!